In many ways, Halloween can be thought of as the official kickoff of the "holiday season." It marks the transition from warm weather and back-to-school excitement to the crunchy leaves of autumn that are soon to turn to snow. You'll likely find that once November starts, the last two months of the year seem like a whirlwind. So start this busy season off by preserving excess or leftover Halloween candy, decorations and lights and even costumes to use again next year. Luckily, if you have a FoodSaver® FM5000 Series 2-in-1 Food Preservation System, you'll find it'll do this and more! 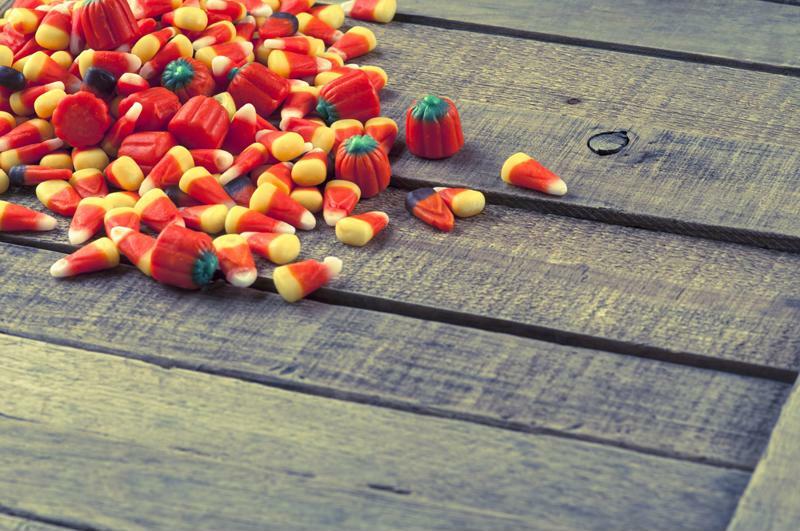 Chances are, you'll end up with an abundance of Halloween candy. November and December will be chock-full of holiday baked goods. However, October is when all of the tasty pumpkin baked goods get made! If you find that you made an abundance of your favorite autumnal desserts, you can freeze them to enjoy later in the winter when people are all baked-out. This will also come in handy if you baked cookies for your child's school Halloween party and went a little overboard! If you're freezing a loaf of pumpkin bread - or any other type of quick bread - consider slicing it before you freeze it, and even wrapping the slices separately. This way, if you want just a slice of bread later on, you can take it out of the freezer on its own, without having to thaw the entire loaf. Whether you bought more candy than you needed for the neighborhood trick-or-treaters, or your child just accomplished too much on his or her trick-or-treating trip, it's likely you'll have an excess of Halloween candy laying around this year. You may feel tempted to throw it away, but may feel bad for wasting it. Luckily, you can freeze that candy to bake with later on this year. Have you ever noticed that it can be tough to find fun-sized candy at other times of the year? There are a couple of ways to do this. You can keep the chocolates in their original packaging and seal the batches in vacuum-sealed bags, or you can crush them up in advance to use in various ice cream treats or baked good. If you choose the latter option, simply unwrap as many candies as you'd like to preserve, and grind them up in a food processor. This may need to be done in batches. Then, just seal them up in a FoodSaver® bag so the pieces don't stick together in the freezer. Whether you put a lot of work into sewing your child's Halloween costume, or spent a pretty penny on a costume, you probably don't want to throw it away, despite the fact your child can't walk around dressed like a vampire on a breezy April afternoon! You may not want the costume to take up space in the closet, but you don't want it to get musty by storing it in the basement or attic. A great use for your vacuum sealer is preserving your clothes and keeping smells out. Do this by folding the costume small enough to fit into the bag, and sealing it up. Doing this will keep the fabric from breaking down and keep it from smelling like mildew. This way, the costume can be again by a sibling, or even by your future grandchildren!